Web design is one of the main visual aspects that influences individuals how long to stay on a website’s page and if they like that site.From logo design to font choices, It is very important to always try and make a great first impression for your company online. Great first impression through a quality web design will always result in endless positive feedback. Visitors that enjoy the design of a website will most likely look into a companies products and content on page. Well designed websites also lead to more social shares and bookmarks. Ntw Designs is a web design company that is known to created advanced and dynamic web designs for businesses around the world. This month, Ntw Designs has researched and come up with a monthly case study for web design. Read below. 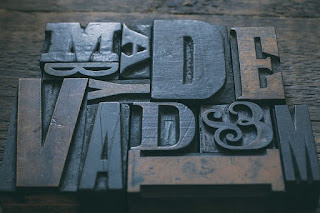 Ntw Designs Case Study: Type Font Gets Custom. This month there has been an increasing change in the average type font of a website. Fonts are changing in 3 ways. First- Design. The design of the average font case has gotten just a bit more unique. Google fonts are being used more and more by websites around the world. Google has created different unique font styles that can be easily installed onto any website. Fonts have taken out the old simple font styles that we were all once use too and have dazzled up web design. Second- Size. The size of the average font has certainly changed from 12px. With mobile devices ruling search engines, font sizes have gotten much larger for all devices. Due to this large text increasing, it makes it easier for all users on all devices to be able to read a website without needing to resize any portion of it. Third- Length. The length of a website has gotten much longer with the multi-use of the one-page web design. With a long page and a long scrolling, this has ultimately caused content production to be much lengthier. There are many beneficial aspects of having more content on page. One of the main aspects of length is to have great information for all visitors to read and understand right from the homepage. To sum it up, font size has made dramatic moves in web design this month! Read the 3 case study info provided by Ntw designs above and apply it to your own website.